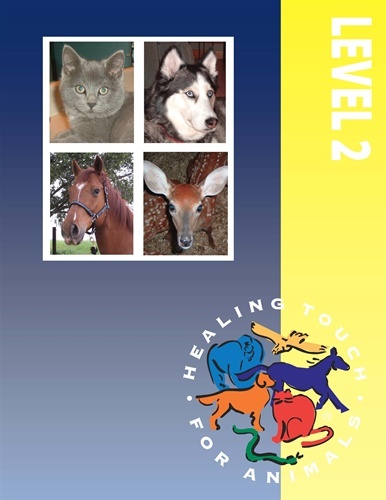 The Level 2 Healing Touch for Animals® (HTA) course is two and a half days, and builds on the Level 1 basics. Study more advanced techniques and new concepts, including sound therapy, and learn the skills of energetic detective work so you can help determine each animal's specific therapeutic needs. Interested in being an HTA Practitioner? You will learn how to choreograph an HTA session and how to build an HTA private practice. Discuss different cases for a clearer understanding of energy field theory and treatment for animals through Energetic Detective Work. Describe animal grieving and the energetic effects of grieving. Demonstrate and experience a complete HTA session/treatment sequence. Discuss and demonstrate how to identify different personality traits with animals. Discuss how to identify trauma. Describe the theory and demonstrate the application of the Pair 5 tuning forks and how they are used for clearing the energy field and for clearing spaces.